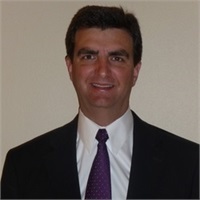 Gregory Massino | Massino Financial Group, Inc.
Greg entered the financial services industry in 1986 after receiving his B.S. degree in Business Administration from Rockford College. He later obtained the CERTIFIED FINANCIAL PLANNER™ mark from the The American College for Financial Planning in Denver, Colorado. He founded the Massino Financial Group, Inc. in 2000. Greg is a member and past president of the Rockford Association of Insurance and Financial Advisors. He holds membership in the International Association of Financial Planners and the Rockford Area Chamber of Commerce. Greg and his dedicated team of financial professionals can assist individuals and businesses in developing and implementing financial strategies using a value based approach aligned with their core beliefs. Greg and his wife, Pam, reside in South Beloit, with their three children Mallory, Melissa, and Mitchell.